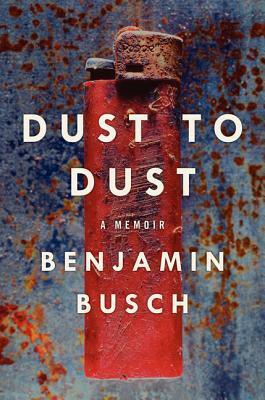 Anyway, because of our connection on Facebook, I decided I needed to read Ben’s memoir, Dust to Dust, which is partly about his service in Iraq, but also is about growing up and a good bit about mortality. It’s a terrific, lyrical book, and if you haven’t read it I recommend it. It is structured thematically, each chapter dealing with an “element”—water, soil, wood, stone, ash, etc.—and approaches each theme with anecdotes from childhood, his military service, or his more recent life in rural Michigan. It’s unique, I think, because it’s far from chronological, and yet we still get a sense of time passing from his early interest in the military when he was a boy to his final deployment to Iraq. As I was reading it, I was drawing a contrast with Townie, the Andre Dubus III memoir I read recently. Dubus is also the son of a hightly regarded writer, and was also a fighter (in a very different way), but his memoir proceeds from his earliest days to the present. It also ends shortly after the death of his father, as Dust to Dust does. The books make an interesting pair. The book also brought to mind a couple of other recent reads. The Yellow Birds by Kevin Powers (whom I met at the Library of Virginia Awards last year) is a novel about a young soldier’s service in Iraq and its aftermath. The Good Soldiers by David Finkel is nonfiction about a whole unit deployed to Iraq. Both books do a good job of showing the horror of war and the particular challenges of Iraq. Busch treats some of the same material—he’s as familiar with the grimness as Powers, but he has some of the detachment that Finkel, a journalist, shows. These three books would make a good core for someone interested in the literature of the Iraq war. I’ve been thinking of tackling a memoir project, and I’d be very happy if I could come close to the humanity that Busch displays here. I was very interested to see that you had a correspondence on Facebook with Benjamin Busch. I’ve been trying to get in touch with him (by mail to his Michigan address, and then to his publisher’s address) to ask him about the archive of his father Fred Busch. But I’ve had no reply so far, and so I wondered if you had any advice as to how I might reach him. By Facebook? I don’t really know how it works. But I’d be glad of any advice. I’m sending you an email with his contact info.